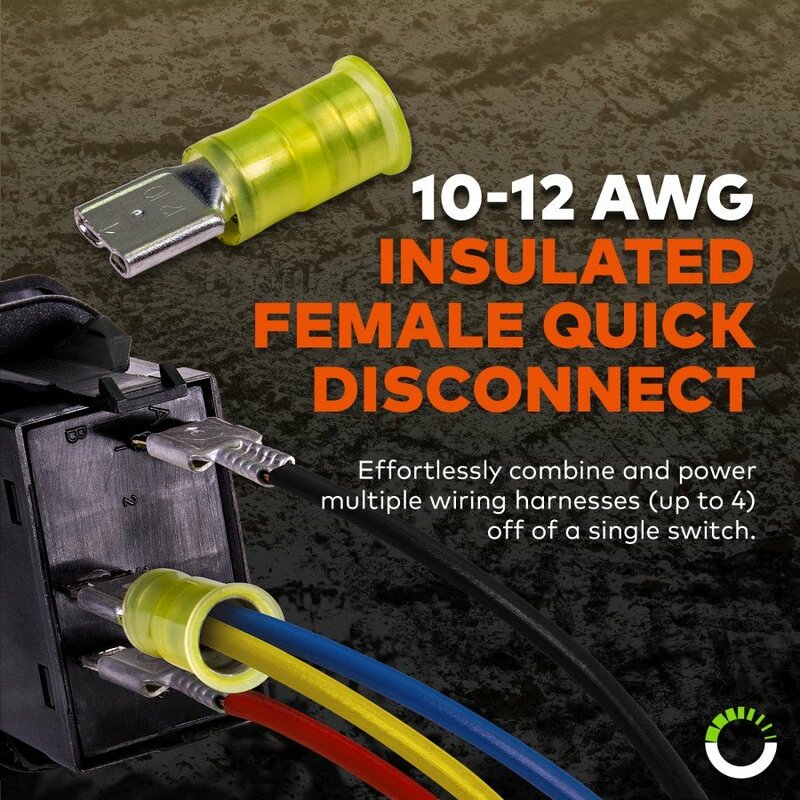 Ships Monday, April 22 if ordered in the next 2 days, 11 hours and 33 minutes! 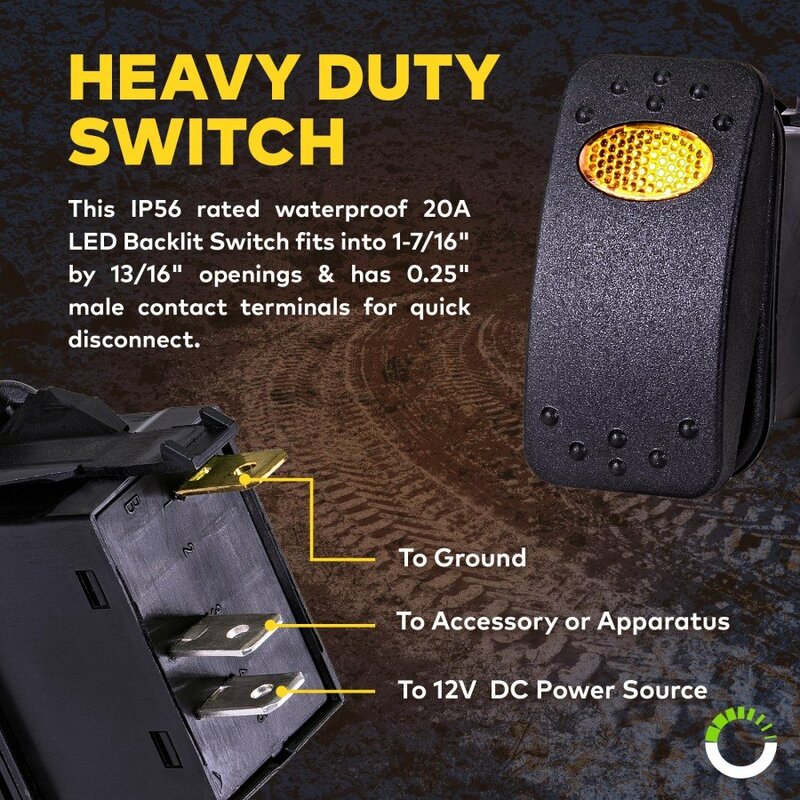 Fits into 15/16" holes with a maximum panel thickness of 1/8"
Fully-loaded with a potent 40 Amp relay, 30 Amp blade fuse, and 25 Amp water/dustproof backlit On/Off switch, the LAMPHUS LED Light Bar Wiring Harness Kit places convenient control over all LED light bars & work lights at your fingertips. 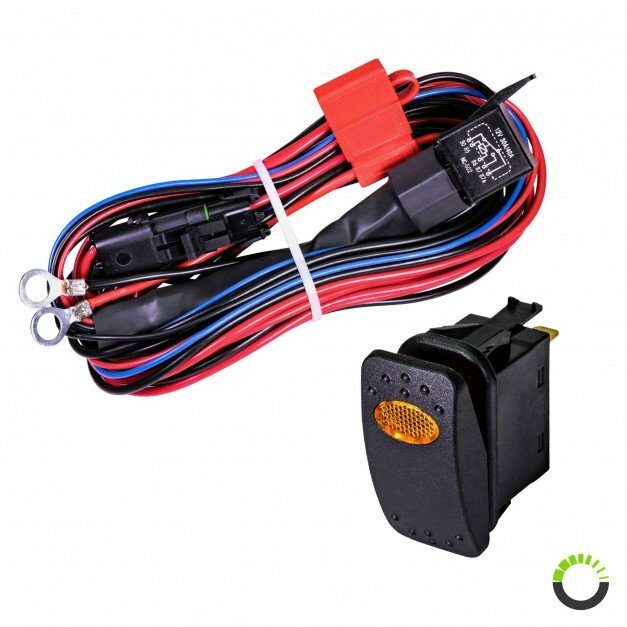 Our automotive LED light bar wiring harness kit will safely power high output LED light bars, work lights & accessory lighting on your Jeep, truck, SUV, ATV & more. 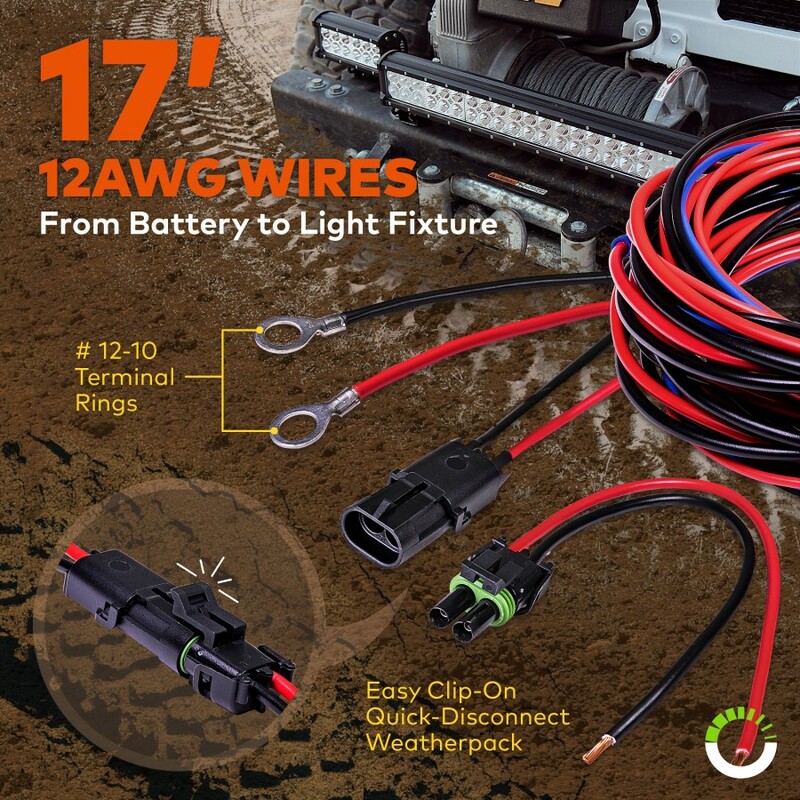 Sporting 17ft of 12 AWG wiring and a Weatherpack quick-disconnect accessory, this light bar wiring kit cuts down on LED light bar installation time. 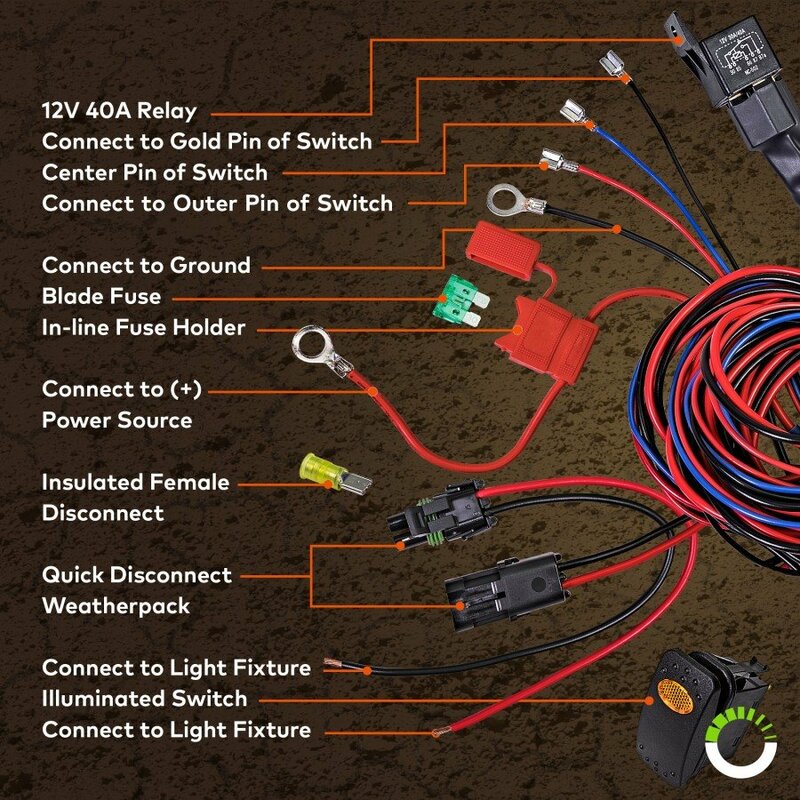 The On/Off switch only requires a 7/16" hole to be drilled on the mounting surface, making this wiring harness setup one of the cleanest & simplest. 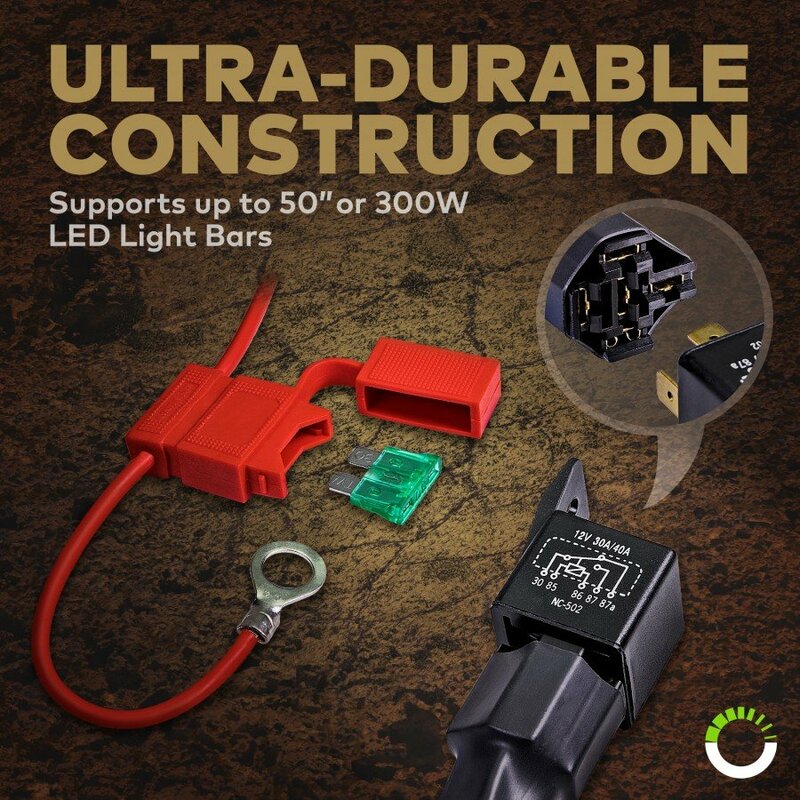 Armed with a 40A power relay and 30A blade fuse, these components effectively protect the circuit when overcurrent or short circuit occurs. 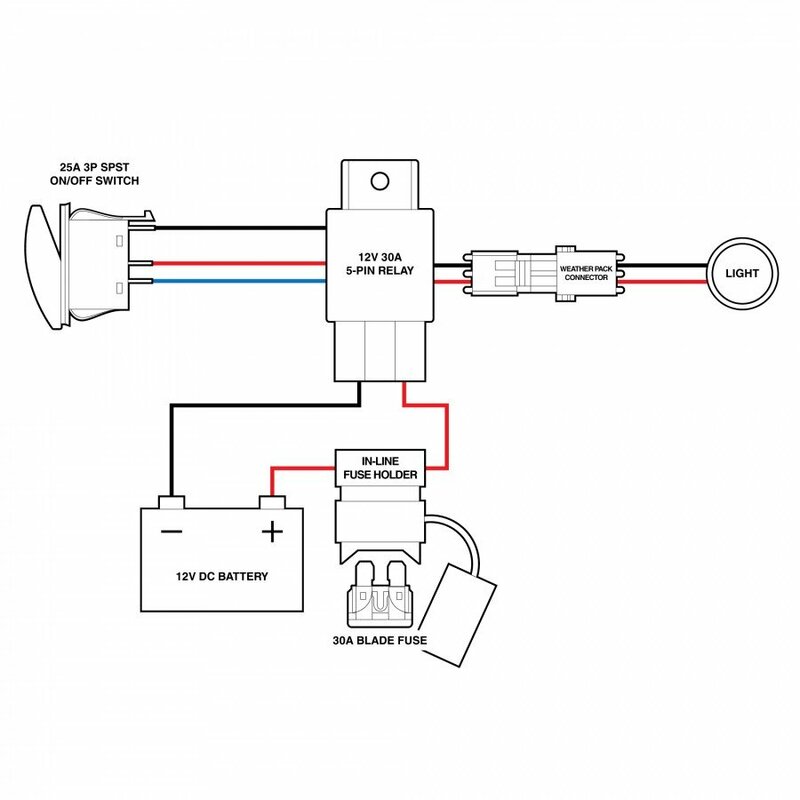 This LED light bar wiring harness also flaunts an IP65 rated rocker switch, protecting your electrical system (and LED lights) from harmful water and dust intrusion.